Roof Repair Calgary: Is Roof Melt by KMI Effective? With global warming comes extreme climate fluctuations. People living in warm places suddenly experience cold weather while those residing in cold areas get healthy doses of sunshine. The unpredictability of the weather encourages homeowners to be prepared for any eventuality. For those living in the Northern Hemisphere, snow is something that comes every year during the winter season. The onset of snow causes multiple issues on proper roof maintenance. 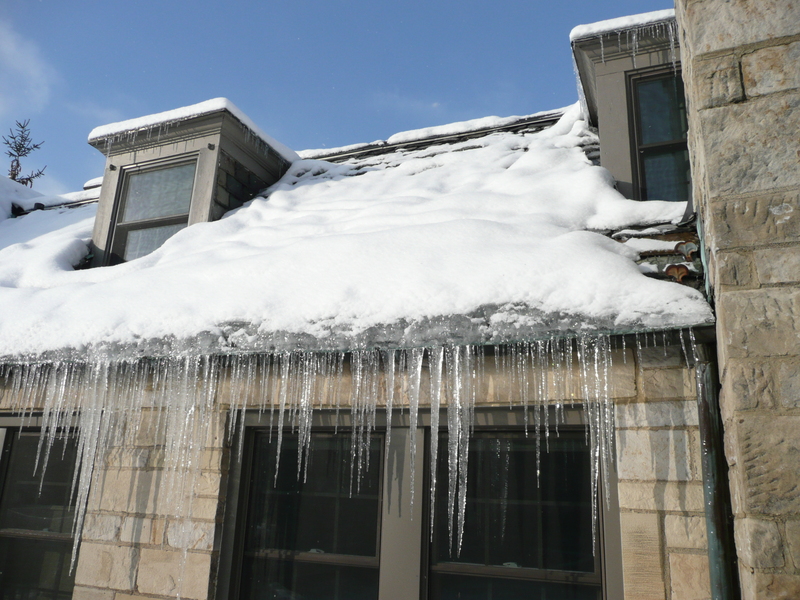 A very common problem associated with snow is the formation of ice dams on the roof and gutter. Neglecting to address this problem could cause not only roof damage but also ruin things inside the house from leaking water. People have devised various methods in roof repair Calgary to address ice dams such as removing the snow on the roof with a roof rake, installing heat cables on the roof, and hacking away the snow with axes, ice picks and similar tools. These approaches require you to get up on the roof or ladder to physically remove the snow or install the cables. A different approach is using roof tablets that are designed to be thrown on the roof. We examine one such product, the Roof Melt tablets by KMI. The tablets are made from calcium chloride and are available in a 60-tablet container. Roof Melt is designed to prevent damage to your roof caused by the formation of ice dams. Its manufacturer hypes the safety aspect and convenience in using this product. Unlike other ice dam-prevention products that necessitate the user to step up the ladder or go up on the roof, Roof Melt will not require you to go up elevated places. Just toss a few tablets on the roof and it will start working. No ladders or other tools are needed. Simply throw a Roof Melt tablet on a square foot of area on the roof and it will begin working within one hour. It is said to have no long term adverse effect on roofs. The reactions of customers to the usefulness of the product are mixed. Some praise its worthiness and attest to its effectiveness in removing ice dam issues while keeping their roofs safe. Others say it did not make any difference. Some even claim that the tablets damaged their roof. A common issue with the use of Roof Melt tablets is accurately placing them on the affected areas just by throwing them up to the roof. Most do not land on the intended area or bounced off the roof and get lost in the snowbank. To be effective, the tablets must be placed above the ice formation and not directly on the ice.